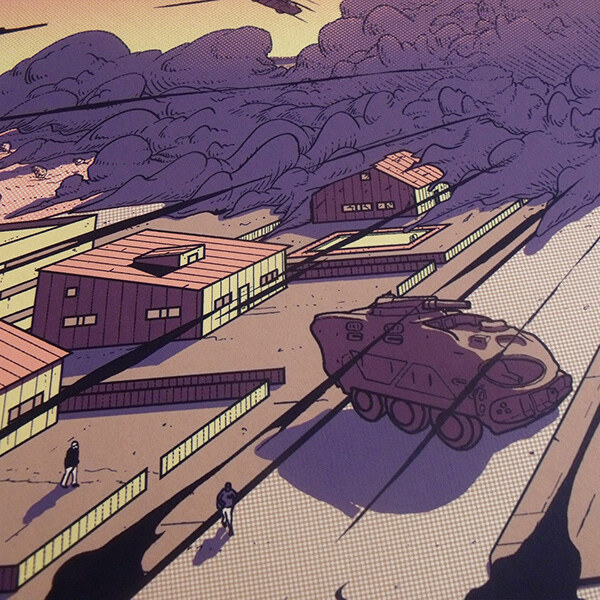 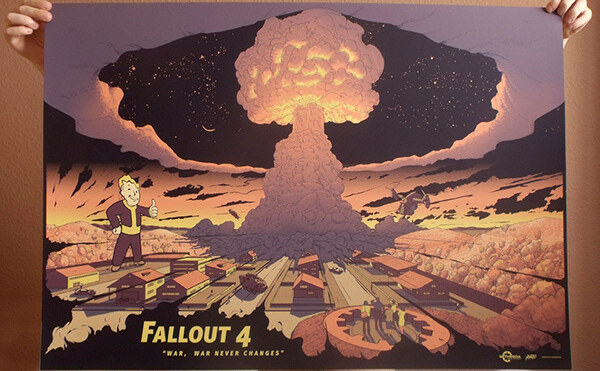 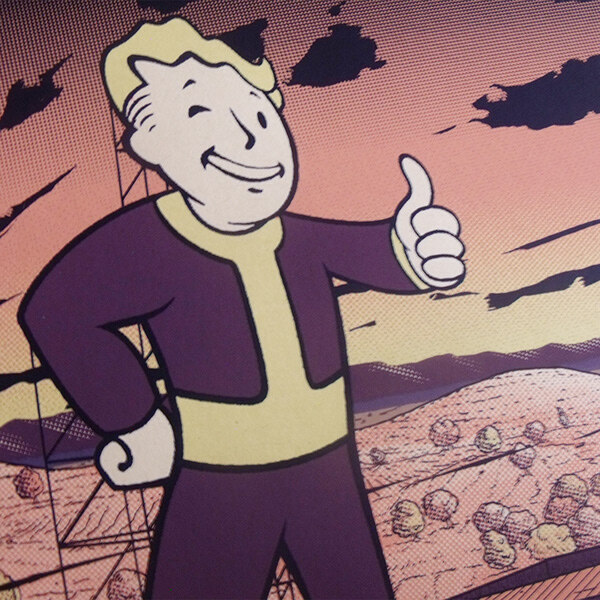 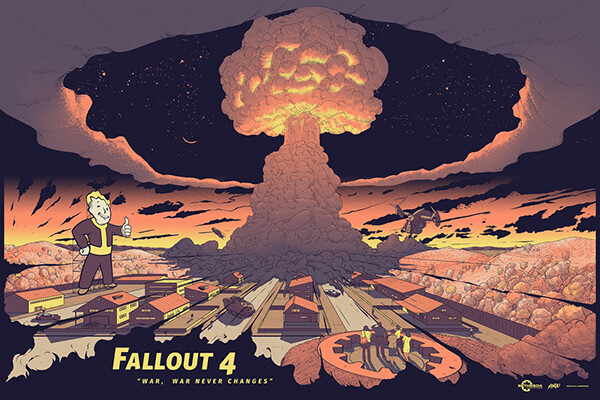 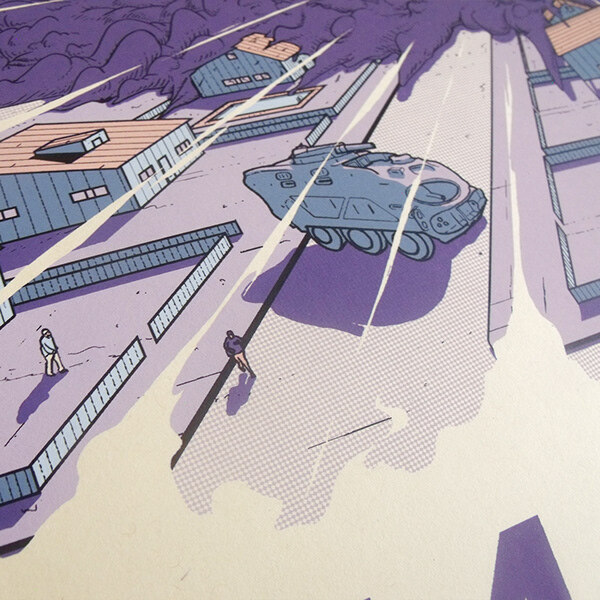 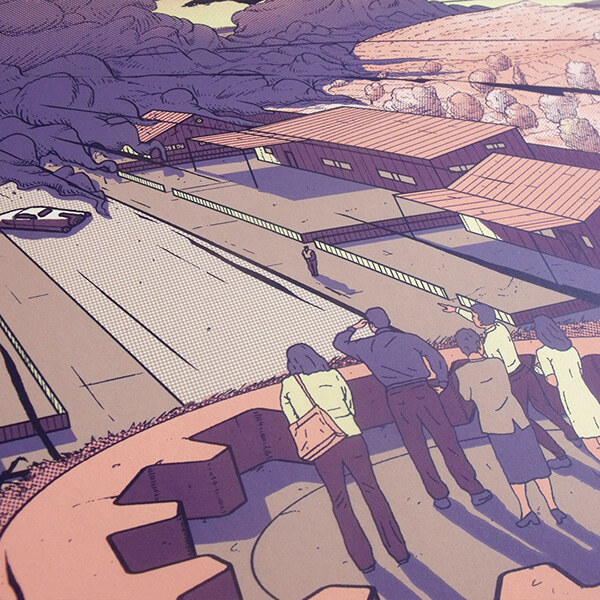 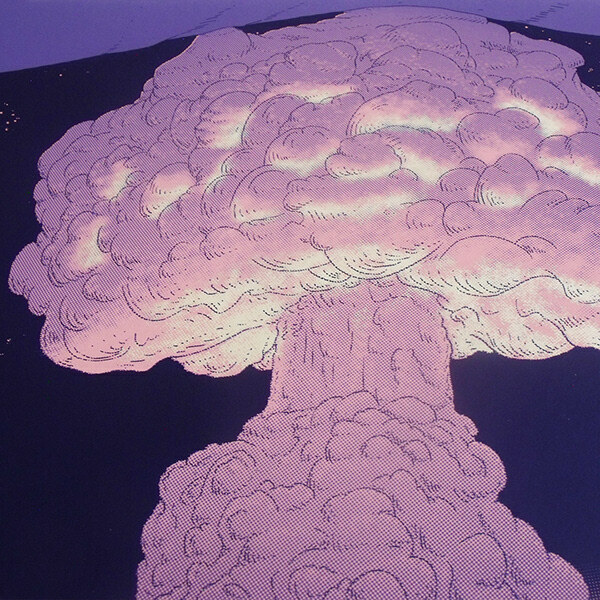 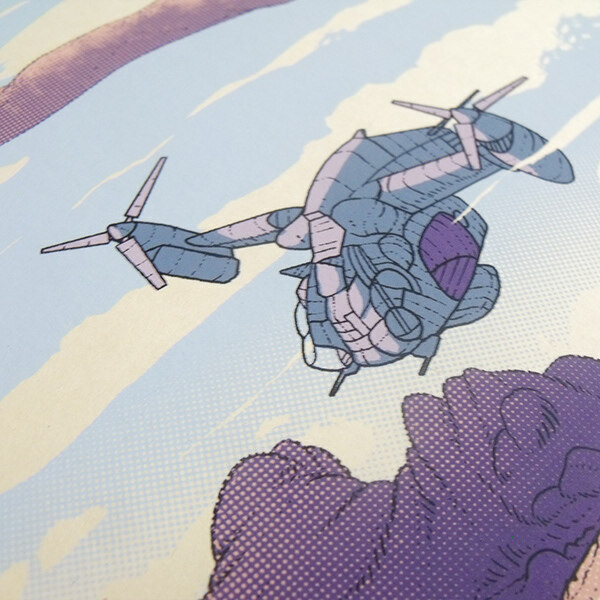 Fallout 4, 36″x24″ Screen Print for Mondo, printed by DL Screenprinting. 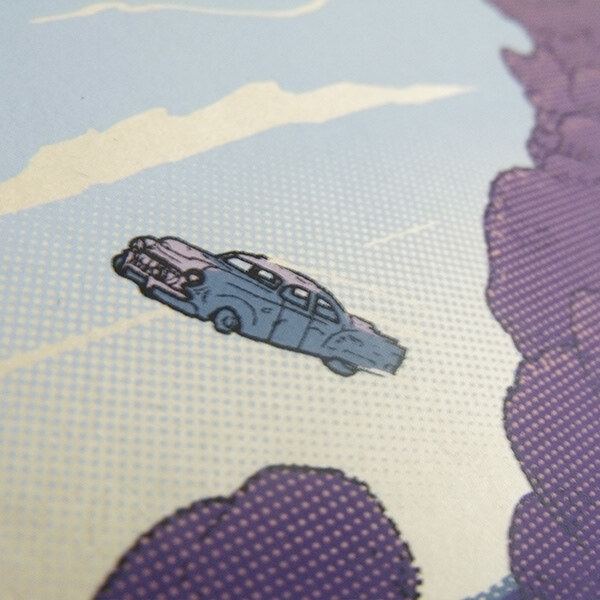 Regular edition of 225 and variant edition of 125. 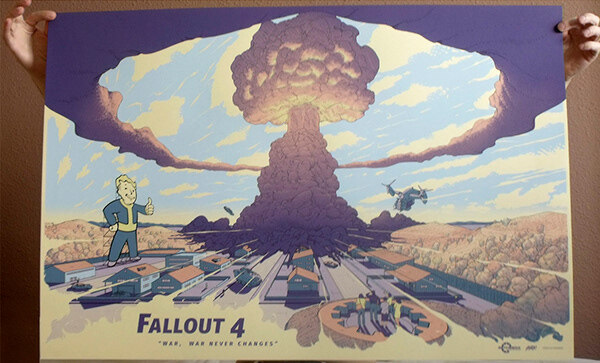 Fallout 4, 36"x24" Screen Print for Mondo, printed by DL Screenprinting. 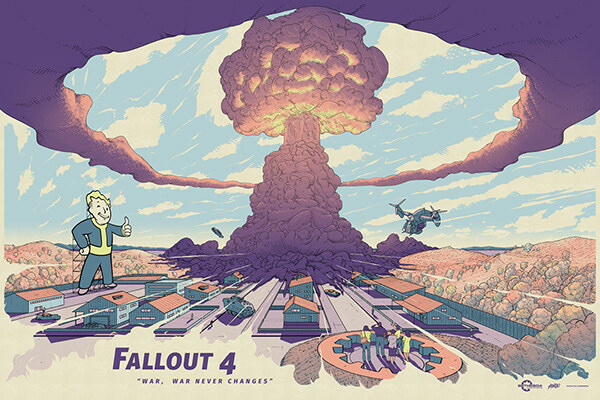 Regular edition of 225 and variant edition of 125.